YesBackup aims to be an effective solution to store your files securely and without hassle. It has gained recognition thanks to the fact that it offers great prices and reliable performance. It is ideal for backing up images, videos, documents and other files that you don’t want to lose, even if you experience system issues or if your device gets damaged or lost. It is important to take measures to protect valuable data and with YesBackup, you will be able to store important files to make sure that you can access them whenever needed. YesBackup focuses on offering an automated backup solution that makes sure that your files are available at any time. You can also sync data across multiple devices, which gives you the possibility of accessing your data on the go. The backup process is simple as all you need to do is to select the files that you want to store and upload them to YesBackup. The data will be backed up to the cloud, which means that no storage space is required on your device and even if your hardware stops working, you can recover your files without issues. 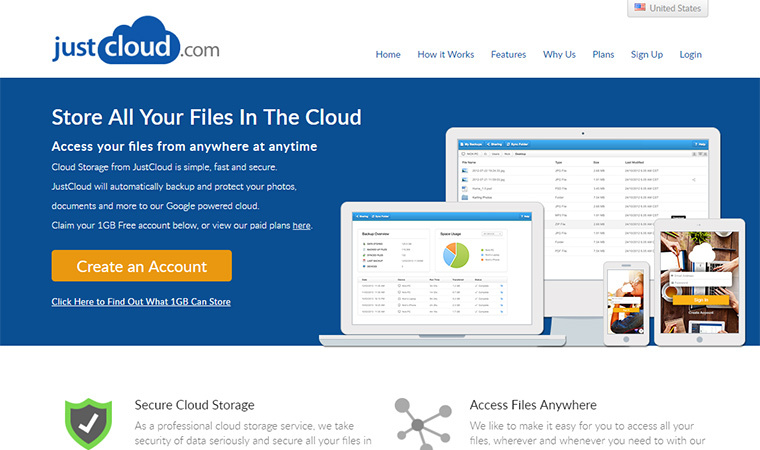 Backing up data to the cloud also allows you to access it from anywhere. The interface is easy to use and it presents a list of useful information including the number of files that you backed up, the amount of files synced, amount of data that is being stored at the moment, number of devices synced and date and time of the latest backup. If there are multiple users, you will also see the breakdown of the amount of space that is being used by each of them. At the bottom of the page, you will see a detailed description of each file stored, including the size, the date when it was stored and more. YesBackup supports fully automated backups. The upload and download speeds were generally good and will reach your internet connection capacity. 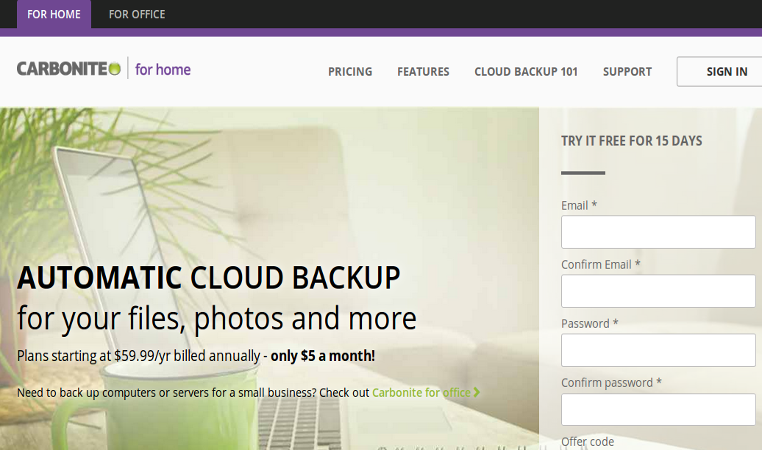 YesBackup relies on Google Cloud storage servers to store the data. Since they offer excellent performance and functionality, you can expect your data to be secure and available whenever you require it. To ensure the integrity of your data, the files are protected during transfer, storage and download. To enhance the security of your data, you have the option of securing it before it is uploaded. In addition, to reduce the risk of losing your files, they are secured in multiple locations. Only you and those you share it with can get access to your data. YesBackup has advanced data centers in multiple global locations and the files are stored with 256-bit encryption, which is the same level of protection that the government and financial organizations use. This is a strong way to keep your photos, videos, and other personal and work documents safeguarded. When you first sign up to YesBackup, you can enjoy discount promotions, but the subscription is automatically renewed at the regular rate once the initial plan term passes. Your YesBackup account will be automatically renewed 15 days before your current service plan is over. There are three plans available: Home/Pro, Premium and Ultimate. The Home Pro offers 75GB and starts at $10.69 per month If you extend the subscription to 2 years, you can reduce the monthly cost to $7.61 since the total cost you pay in advance is $182.64. The Premium plan offers 250GB and cost $11.94 per month. Two years cost $196.56. which reduces the monthly price to $8.19. Finally, the Ultimate plan costs $14.44 per month, which can be reduced to $10.69 when you pay $256.56 for 2 years. It is also possible to pay for additional services like priority support and Network drive support. The website includes a Help Center with setup guides, an extensive knowledge base, as well as information about billing and other aspects of the service. YesBackup also offers different email addresses to contact the support team, according to the type of query that you have. There are also phone numbers available for customers in Australia, United Kingdom, Europe, Canada, United States and an international phone number is also listed on the website. The variety of options available to contact the support team shows that YesBackup understands the importance of offering a good experience. It is good to see that they offer attention via phone as this is a fast way to address customers’ queries. Furthermore, the service is available 24/7 throughout the year. YesBackup focuses on giving customers the chance to backup their data in a simple, effective and secure way. Although it is not the lowest option in the market, it offers good discounts when you initially sign up for the service. The bottom line is that backing up your data is essential and if you don’t want to lose valuable photos, videos or documents, you should invest in a service like YesBackup. The main advantage of this particular option is that it is easy to use and will sit those who are just starting with this technology.